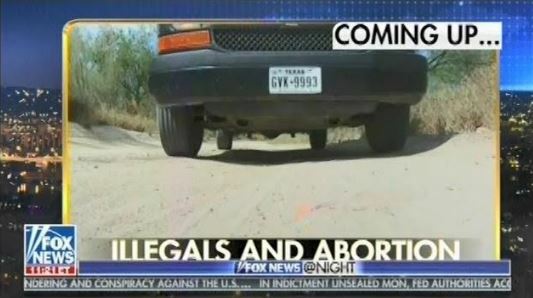 Recently, Oklahoma has attracted attention from extreme anti-abortion groups because Dan Fisher -- a Republican gubernatorial candidate -- has been very vocal about his desire to “abolish abortion” and his belief that courts should ignore Roe v. Wade. On the heels of that news, the editorial board of a local newspaper tapped into the same well of anti-abortion sentiment to forward an inaccurate assessment of the effort by Congress to stabilize the Affordable Care Act. 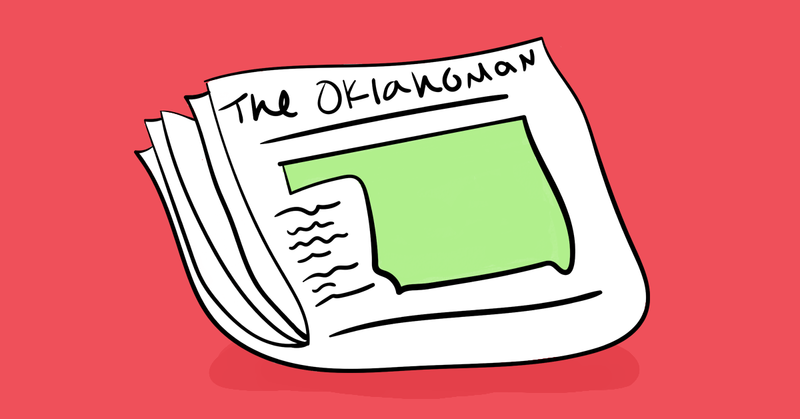 On March 28, the editorial board of The Oklahoman, the largest newspaper in Oklahoma, ran an editorial laying the blame on Democrats and their “insistence on unfettered abortion rights” for Congress’ failure to pass an Affordable Care Act (ACA) premium stabilization bill. 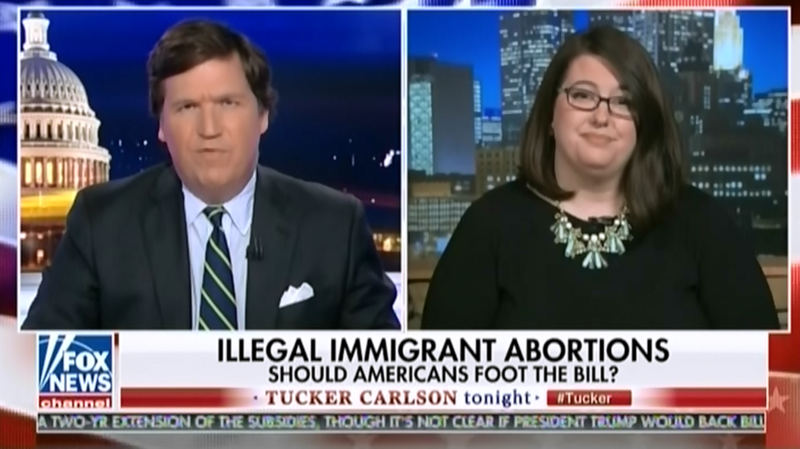 However, the debate in Congress was actually over the inclusion of language in the bill that would have expanded the Hyde Amendment -- which prohibits the use of federal funds to provide for abortions -- to stop private insurers selling over the ACA exchange from covering abortion as well. In simple terms, Republicans wanted the language included (a change from the status quo), and Democrats did not. In other words, as HuffPost concluded, the proposal would have made it “almost certain no insurer offering coverage to individuals would include abortion coverage.” Under the ACA’s current structure, the Hyde Amendment restrictions are not violated because insurers that want to provide abortion coverage do so through “separate spending accounts, filled only with premiums they have received directly from individuals.” Contrary to the framing used by The Oklahoman and others that the Democrats played spoiler, Politico also reported that when “Democrats offered language similar to what was in the Affordable Care Act,” Republicans rejected this offer. Instead, Republicans demanded “permanent Hyde Amendment language” in the bill that would also apply to private insurers. It should be noted that, while the Democrats weren't objecting to the Hyde Amendment as it currently exists, the law is actually an extremely harmful policy that, as the Center for American Progress noted, has “a disproportionate impact on low-income women, young women, and women of color.” It leads to “poor health outcomes” and “contributes to a culture rife with abortion stigma.” It’s also not even popular with voters. Arnold Schwarzenegger wants to make a comeback. It's time to talk about his long reported history of sexual harassment and groping. Former California Gov. Arnold Schwarzenegger, who has a long list of sexual misconduct allegations against him, wants to raise his public profile as a climate activist. 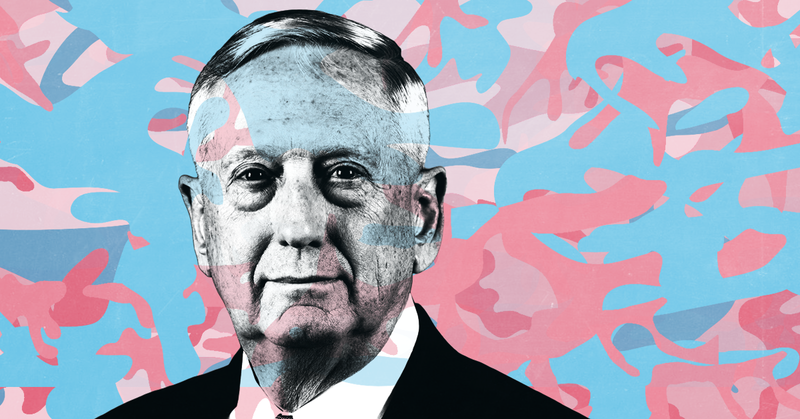 He made headlines last week when, during an interview with Politico, he threatened to sue oil companies “for knowingly killing people all over the world” by selling a product that contributes to climate change. What didn’t make headlines, though, was that Politico also asked Schwarzenegger about past behavior that "some women" had "called offensive," a reference to charges of groping, sexual humiliation, and harassment made against Schwarzenegger in previous years. The accusations against Schwarzenegger, many of which were aired during his 2003 gubernatorial campaign, are similar to accusations that have come out against other high-profile men in the #MeToo era, including charges of nonconsensual groping and verbal harassment. Schwarzenegger also reportedly benefited from a "catch-and-kill" nondisclosure agreement drawn up by the publisher of the National Enquirer, the same kind of agreement that helped Donald Trump avoid the exposure of an alleged extramarital affair. The LA Times story also cited a 2001 article published in Premiere magazine in which another woman accused Schwarzenegger of inappropriately touching her breast and other people recalled incidents of groping and harassment. Schwarzenegger's campaign spokesperson told the LA Times that the candidate had not engaged in improper conduct toward women. I know that the people of California can see through these trash politics. Yes. And let me tell you something -- a lot of those, what you see in the stories is not true. But at the same time, I have to tell you, I always say that wherever there is smoke, there is fire. That is true. So I want to say to you, yes, I have behaved badly sometimes. Yes, it is true that I was on rowdy movie sets and I have done things that were not right, which I thought then was playful. But now I recognize that I have offended people. And to those people that I have offended, I want to say to them I am deeply sorry about that, and I apologize, because this is not what I tried to do. In the days after the initial LA Times story was published, more women spoke out, making for a total of 16 women coming forward before the election with allegations that they had been groped or sexually humiliated by Schwarzenegger. One of the women named in the Premiere story and the initial LA Times story, Anna Richardson, filed a libel suit against Schwarzenegger and two of his aides in 2004. After Richardson alleged that Schwarzenegger groped her, Schwarzenegger's staff told the LA Times that she had encouraged the behavior, a claim that Richardson said damaged her reputation. The suit was settled out of court in 2006. The LA Times reported that American Media Inc., the publisher of the National Enquirer, promised to pay $20,000 in 2003 to a woman who allegedly had a seven-year affair with Schwarzenegger in exchange for the woman signing a confidentiality agreement that blocked her from talking about it to any other media outlets. The National Enquirer had published a story about the affair two years earlier, in 2001, in which it claimed that the woman was 16 years old when the affair began. But after the confidentiality agreement was signed, American Media never followed up with the woman or gave her the opportunity to tell her story. The confidentiality agreement was signed two days after Schwarzenegger announced his intention to run for governor, during a period when Schwarzenegger and American Media were negotiating a multimillion-dollar consulting deal that would have Schwarzenegger serve as executive editor for bodybuilding and fitness magazines owned by the company. This is the same kind of "catch-and-kill" arrangement -- in which a company buys a story so as to prevent its release -- that American Media used to silence a woman who had an affair with Trump, as The New Yorker reported in February 2018. The New Yorker story named Schwarzenegger as another person involved in American Media's catch-and-kill arrangements. My colleagues Peter Nicholas and Carla Hall report that while Schwarzenegger was running for governor and negotiating a multimillion-dollar contract to shill for muscle magazines owned by the company that publishes the National Enquirer, the same outfit was paying Arnold's alleged former "masseuse" $20,000 not to go running her mouth. On October 8, 2016, the day The Washington Post revealed that Donald Trump had been caught on video bragging about sexually assaulting women, Schwarzenegger posted a statement on Twitter announcing that he would not be voting for the Republican candidate and calling on fellow Republicans to "choose your country over your party." But Schwarzenegger still went forward with plans to replace Trump on NBC's reality show Celebrity Apprentice, and he defended Trump for retaining an executive producer title on the show after he became president. The good-government nonprofit Common Cause had planned to honor Schwarzenegger on December 1, 2017, with an award for work he did as governor to combat gerrymandering. But activists started a MoveOn.org petition demanding that the group not give the award to a "serial harasser," arguing, "By honoring Arnold Common Cause is enabling harassers and silencing victims." Common Cause then reversed course and announced that it would not give an award to the former governor. EDWARD-ISAAC DOVERE: I want to ask you about maybe a little bit less of a comfortable topic. We've been talking about your time as governor. When you were running initially in 2003 -- this was 15 years ago, right -- towards the end of the campaign there were some women who spoke out about behavior of yours that they called offensive. You apologized for it and said you didn't mean to offend. But obviously, not only is it 15 years ago but it's the last six months have really changed the conversation that we're having about what's going on. What is the difference between that moment and now? ARNOLD SCHWARZENEGGER: Well, I think that first of all the movement, if you're talking about the #MeToo movement, it is about time. I think it's fantastic. I think that women have been used and abused and treated horribly for too long. And I think that now all of the elements came together to create this movement and that now finally puts the spotlight on this issue and I hope that a lot of people learn from that. And I remember that when I -- for instance, when this happened to me, just before the election, with the groping charges, I realized you know, even though you say this was very politically motivated, it was just the day before, two days before the election and all this stuff. But the fact of the matter is you got to take these things seriously because you got to look at it and say, OK, I made mistakes, and I have to apologize. And this is why the first thing that I did when I became governor was that we had a sexual harassment class. Because I said to myself, this is extremely important of an issue, and now we’re representing the people of California, so no one should get into this kind of trouble, no one. And so we had these people come in as experts. And it was really the most unbelievable education. And I recommend for anyone that is confused about this issue, after all of these complaints that women have, and the outcry of women, I would suggest to everyone, if you're still confused about it, that women are treated the right way, to go in to take one of those classes. Because when we took this class and the guy walked in -- it was two women and two guys that were holding this class -- and they said, let me just open up and just say very simply, if a woman comes through this door, and you, governor, say to her, "I love your beautiful red dress," she can take this as sexual harassment. SCHWARZENEGGER: And so here's the important thing. Then he said, but, if you go at the same breath and say to the man, "I like your green tie," he says then it wouldn't be. So there were so many subtle kind of things that you needed to know that you would make mistakes. And the entire time that we were in office we never had one single problem because we had those sexual harassment classes on an ongoing basis. And just educate everyone. DOVERE: Has it made you rethink your own things that you did, even in the last couple months? SCHWARZENEGGER: It just made me think totally differently. And then when the whole spotlight came about, and the spotlight was put on this issue, you know, I could, I said to myself, you know, finally, because I think it is really good that now the spotlight is on it. And it is no different than the spotlight was on it like on equality in America, you know in the '60s, or if it is about the environmental issues, where you talk and talk and talk about it but then finally it clicks and people realize. I mean, for how long have I thrown things out of the window when I was a kid and then eventually the spotlight was put on it and it made you feel bad that you're doing the wrong thing and now you start thinking about it and you never do it again. So I think this is going to put the spotlight on it to such an extent that guys are going to think twice about it to make those mistakes. And I think that everyone should take a sexual harassment class because we've got to go and not ever do those kind of things. DOVERE: Is the problem worse in politics or in Hollywood? SCHWARZENEGGER: I think it is across the board. I think it is nothing with Hollywood, it is nothing with politics. It can be somebody in the factory, it can be in the military. It can be anywhere, this abuse and this kind of where guys flex their muscles and use their power in order to get certain things. And I just don't think it is right, and I think this is why it's good that women are letting their voice be heard. On January 19, the annual March for Life was held in Washington D.C. 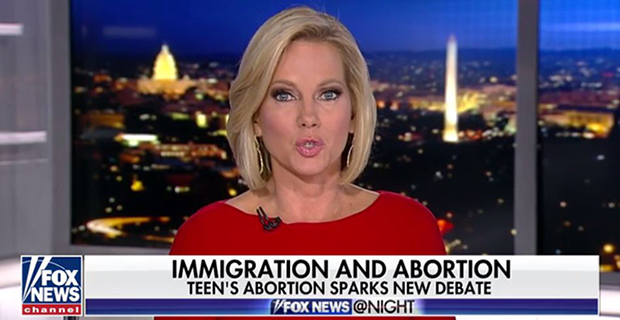 In covering both the anti-abortion protest and the lead-up to it, some media outlets promoted problematic narratives and anti-abortion misinformation. A recent article in Politico blamed Democrats for the ongoing Republican campaign to weaken the Consumer Financial Protection Bureau (CFPB), misleadingly alleging that “Democrats are facing the consequences of their decision to protect the agency’s powerful independent director,” without disclosing the conflicts of interest of the experts it cited in support of such a view. Such a commission structure at CFPB has long been a goal of financial industry lobbyists and some Republicans seeking to roll back consumer protections put in place by the Dodd-Frank Act, because it would make the agency less responsive to predatory practices targeting Americans, delaying its decision-making and ability to protect consumers. 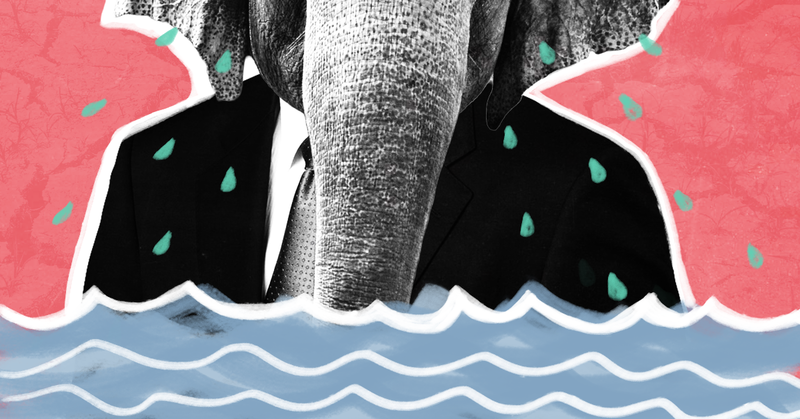 This analysis mirrors misleading arguments made by the conservative Washington Examiner and the right-wing blog RedState, which both seemed to revel in the supposed reckoning Democrats brought on themselves. In the midst of these ongoing media attacks, the Republican-controlled Congress has already moved to weaken the CFPB, a fact never mentioned in the Politico piece. The Politico article also echoes financial industry talking points in favor of implementing a commission structure at CFPB, going so far as to rely on a quote from Richard Hunt, the president of the Consumer Bankers Association, without pointing out he has spent years demanding the agency be turned into a weaker bipartisan commission. Indeed, more than a dozen financial and real estate lobbying arms, including the Consumer Bankers Association, wrote to Congress in June asking that the Republican-controlled House and Senate move to reshape the CFPB’s governance structure. But the very reason the CFPB avoided a similar commission when the agency was created was because in the aftermath of the financial devastation of the Great Recession (unleashed in part by underregulated financial industry actors), the decision was made to avoid a weakened commission that would be susceptible to just this sort of political pressure, or the type of partisan paralysis that has afflicted similar bipartisan efforts. Making matters worse, the only Democrat featured prominently in the article has voiced opposition to CFPB consumer protections in the past, and works at a law firm that proudly boasts of its experience fighting the agency on behalf of “bank and non-bank consumer financial services providers.” Politico’s failure to disclose this clear conflict of interest is the kind of oversight one might expect from Fox News. This is not the first time Politico has targeted the CFPB. A piece attacked the consumer advocacy agency in November 2015 after it used research from a consumer advocacy group while drafting new rules aimed at ending racial biases in auto lending. The 2015 criticism followed a salvo from the right-wing editorial board of The Wall Street Journal, which slammed the CFPB for daring to stand up against racially biased lending practices. Conservative politicians and media outlets have routinely pilloried the CFPB since its inception, sometimes inventing reasons to smear the agency. Some antagonists have even attacked the CFPB for paying its employees competitive salaries, falsely claiming along the way that the agency is misusing tax dollars (it’s actually funded by the Federal Reserve). Taking their cues from Fox News host Sean Hannity, three Republican congressmen introduced a resolution in the House demanding special counsel Robert Mueller step down from his role of investigating possible collusion between associates of President Donald Trump and agents of the Russian government. Mueller, they note, was presiding over the FBI at the time the agency was investigating a Russian bribery and extortion scheme connected to the uranium deal, but the agency declined to notify Congress of its investigation and prevented a confidential informant from notifying lawmakers. “Any thorough and honest investigation into the corruption of American-uranium related business must include investigating the willful blindness of the FBI and its leaders,” according to the resolution. The demand for Mueller’s resignation from lawmakers in Congress comes after months of attacks leveled by pro-Trump media. But their conspiratorial focus on Mueller’s supposed involvement in a uranium deal reveals the extent to which many Republicans may be taking their cue from Fox News, particularly Sean Hannity. Just three weeks ago, right-wing journalist John Solomon authored a flimsy article in The Hill, which revived the debunked Uranium One conspiracy theory. Hannity rushed to amplify the story, claiming the real collusion was between Clinton and Russia while impugning Mueller’s character. As recently as October 24, Hannity encouraged Congress to call on Mueller to testify about his “past role” in the Uranium One story, adding “there’s no way the American people can trust Robert Mueller to investigate anything Russia related, to be fair and impartial, it’s impossible because of his past role in this. He should resign immediately, tonight.” In a November 1 tirade, Hannity hyped “massive conflicts of interest coming from the special counsel, Robert Mueller, and his team” calling them “beyond shocking” and “beyond disturbing.” Hannity alleged that the special counsel investigation “has become a partisan witch hunt that is now rotten to the core” before attempting to tie Mueller to the alleged uranium plot. Hannity also suggested that Mueller might have an ax to grind with Trump after not being chosen to replace Comey at the FBI. 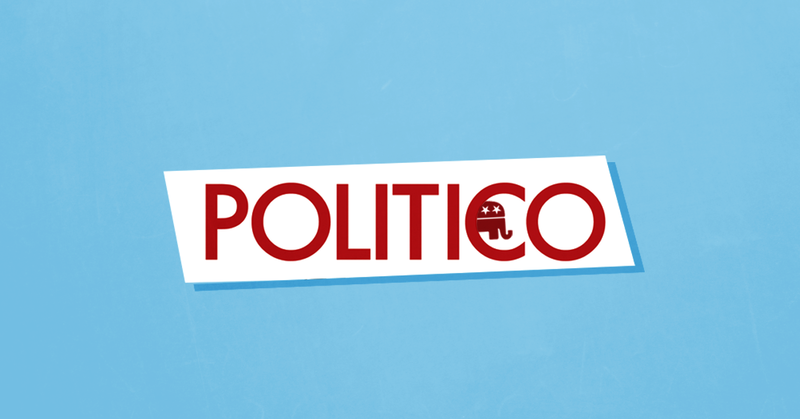 The recent right-wing hysteria around Uranium One is peculiar given that it first gained public attention in April 2015 with the publication of Republican opposition researcher Peter Schweizer’s deeply flawed anti-Clinton oppo dump. Schweizer falsely alleged that Clinton used her position to promote the sale of American uranium assets to state-owned Russian entities in exchange for donations to the Clinton Foundation. Those allegations were quickly debunked after reporters began reviewing the sale (hint: Clinton played virtually no role) and Schweizer was later forced to admit part of his argument was a lie. But Fox News never gave it up. Indeed, just last night, Hannity told Schweizer that he was proud to have hosted the first interview for Schweizer’s discredited book while boasting about his constant recent coverage of the Uranium One story. Previously, Fox hosts and guests have baselessly accused Mueller of leaking damaging information about the Trump-Russia inquiry to the press in hopes of building up the public’s distrust in him. Now, in the wake of key members of the Trump campaign team getting indicted, Trump’s conservative media sycophants seem to hope that the bogus Uranium One conspiracy theory will succeed in derailing Mueller’s efforts.